Today has been a good day for Richard Dawson. It began with a three-year-old child first offering the Geordie songwriter a present of a dinosaur, then followed by a hug, and ends up with Dawson standing triumphantly on the Crescent stage taking the warm and very appreciative applause of a packed-out crowd. You feel he is having a lot of days like these right now. Richard Dawson is fast approaching his late 30s. From a distance, though, and with his beard, crumpled clothing, shuffling gait and abstract on-stage demeanour you could quite easily mistake him for a man twice his age. His songs – many of which detail vivid accounts of some of the more gruesome events from what is now a very dim and distant past – come from the voice of someone who surely has to be hundreds of years old. Musically Richard Dawson has been around for a while too. The wholesome praise which was rightly heaped upon last year’s offering Peasant – a record that topped many a critics’ end-of-year list – catapulted him into a much wider public domain. This perhaps gave the uninitiated the impression that Dawson was some new artist on the block when in point of fact his recording career can be traced right back to 2007 and the release of his first album, the rather prosaically entitled Richard Dawson Sings Songs and Plays Guitar. There is no doubt that the music Richard Dawson produces does mine a rich seam of tradition, but he bridles at any suggestion that it is called folk. He prefers instead to describe it as “ritual community music” with a similarly strong emphasis placed upon the word experimental. And whilst tonight’s performance illustrates perfectly Dawson’s own assessment of his music, it also explains why he is invariably saddled with the far more generic folk tag. He bookends his show with two rather stunning a capellas; the first is his interpretation of folk legend Mike Waterson’s version of the murder ballad ‘The Cruel Ship’s Carpenter’ – Dawson’s decision a while back to heed the advice of a theatrical voice coach has clearly reaped dividends as the man from Newcastle’s rich baritone simply soars – with the second a wonderful valedictory blast of ‘The Ghost of a Tree’, where he stands at the front of the stage, eyes screwed up tight, face contorted, stomping out a thunderous rhythmic accompaniment to his stentorian bellow with his feet. 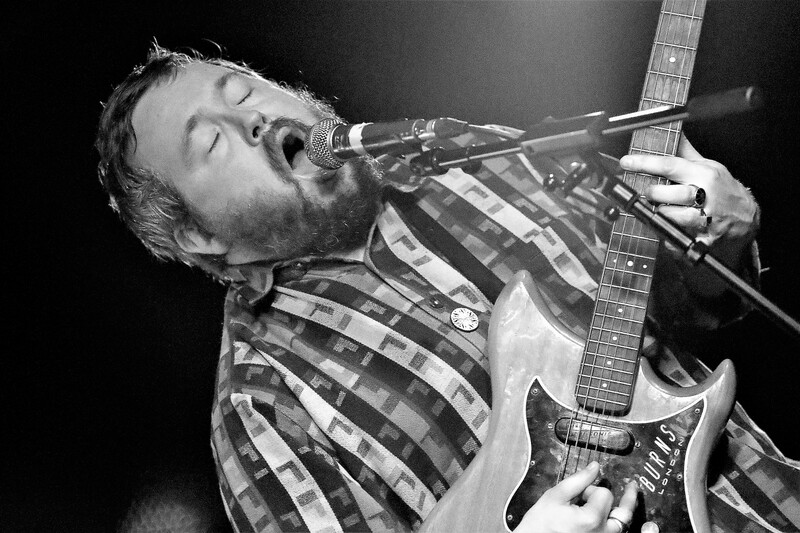 Between these two traditional staging posts, Richard Dawson presents a far more exploratory sound. Strapping on his electric guitar he hammers out what are often arrhythmic chords. They are choppy, splintered, metaphysical chords, a combination of notes that challenge the listener whilst somehow managing to stitch together Dawson’s graphic, wonderfully painstaking tales of going to war (‘Soldier’), the ancient art of dyeing cloth (‘Weaver’) – a song that also highlights the remarkable upper end of his vocal register – and the internal conflict of beliefs (‘Scientist’). It is unconventional, occasionally very uncomfortable but never anything less than compelling. Charlie Parr is another man who seems much older than his years. Even if you knew nothing about his open, public proclamations about battling with depression and trying not to drink too much you would surely sense that the Minnesotan’s road has been much travelled. But when he picks up his well-worn 12-string Guild guitar – suitably modified for slide – and takes us all on a mesmeric journey through the backwoods of his country blues, all of these troubles just seem to disappear. The effortless dexterity of his playing is exceptional, no more so than on ‘I Ain’t Dead Yet’, the title track from his recently released 5-track EP. Richard Dawson and Charlie Parr at The Crescent Community Venue, York was brought to us by those very fine people at Please Please You and Let’s Go Baboon.